Foot and hand pump (Manual). 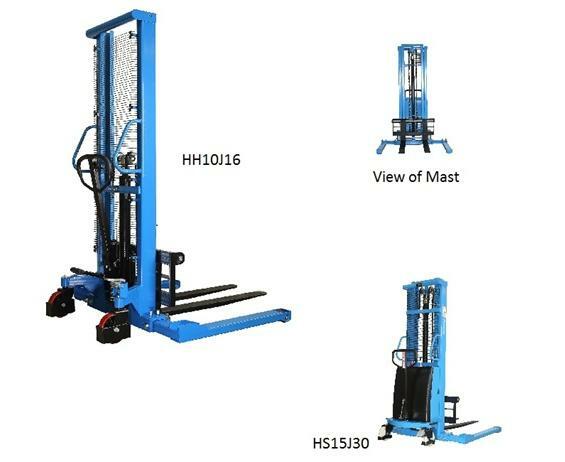 The Manual Stacker #HH10J16, is constructed of structural steel for enhanced durability and stability. It is ideal for small spaces and narrow aisles. The Semi-Electric Straddle Stacker #HS15J30, is a battery operated power stacker. 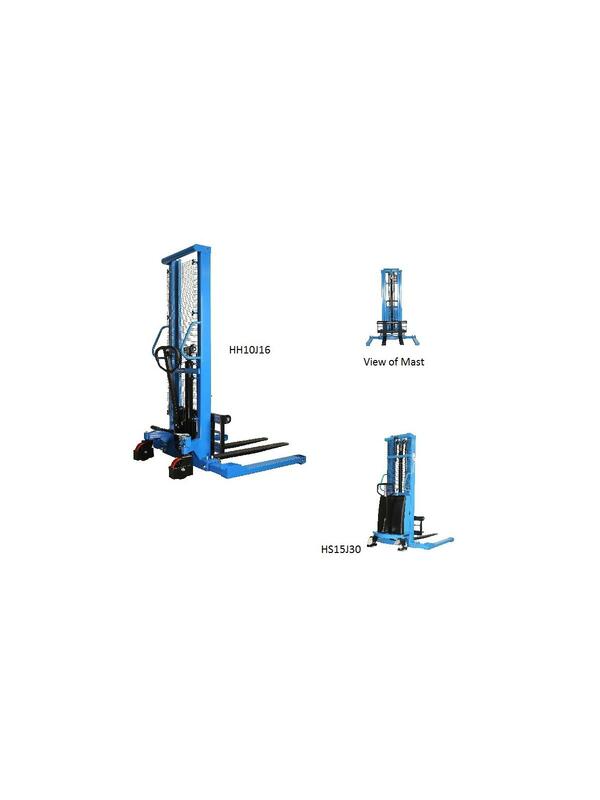 The hydraulic mechanism is burst proof with overload protection. Ideal for small spaces and narrow aisles. FOB Shipping Point.